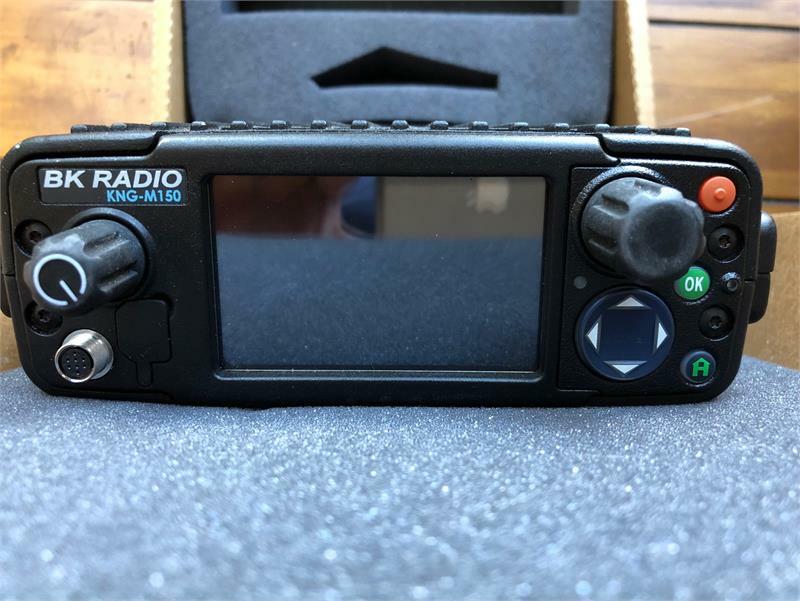 USED KNG-M150 Series VHF Digital Dash Mount Mobile BK Radio, 2048 Channel, WITH NEW Install Kit & NEW External Speaker Included, Microphone sold separately. 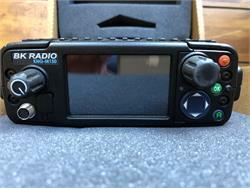 Meet the KNG Series Mobile, the industry's first mobile radio with a touch screen display. The KNG Series Mobile offers exceptional features in a standard size package for both mid and high power applications. The KNG Series Mobile is smart and easy to customize to fit your everyday needs. No more room in your dash? Opt for the remote mount kit. With the remote mount option, you get a fully functional touch screen mobile face which allows for ease of use while in the cab of your vehicle. This kit comes complete with mounting hardware and cables. The KNG 9600 Baud Trunking option gives you the ability to communicate without hassle and without complication. Compatible with competitor Trunking systems, RELM Wireless Trunking is P25 compliant and loaded with features, such as encryption and many unit-to-unit specializations. Best of all you get RELMs ease of use. Using our intuitive software, modifying your KNG Trunking features will be simple. With RELMs Wireless Tactical OTAR (WTO), you are provided with the flexibility to upgrade encryption keys wirelessly and effortlessly without ancillary equipment, infrastructure or key management facilities. WTO operates radio-to-radio and is completely contained in the KNG radio units, which means no additional equipment is required beyond initialization. Multicast Vote Scan capable KNG Series radios automatically select the best site to operate from in a wide area system. Channels in the multicast conventional system are added to the scar list and designated as voted channels. 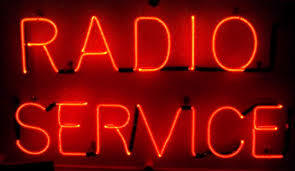 The KNG Radio scans all voted channels and selects the channel with the best signal. The KNG-M Series radio offers the innovative touch screen display which solves many issues seen in existing mobile radio control heads. With industry leading RF and electrical specifications in a rugged water-resistant housing, the KNG-M Series platform provides the performance needed for the most demanding applications, making this the radio of choice.